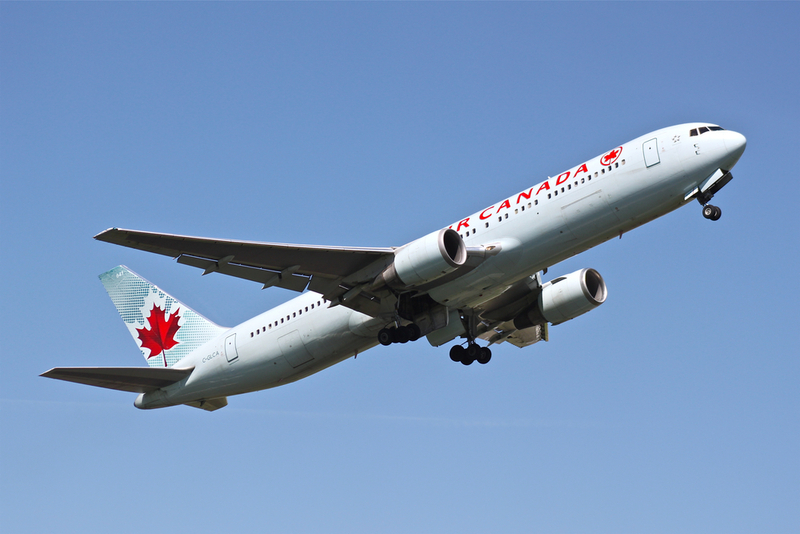 On July 23, 1983, in the small town of Gimli, Manitoba, Captain Robert Pearson and Co-Pilot Maurice Quintal expertly glided a 100-ton Boeing 767 carrying 69 people to a safe landing without engines, air brakes or flaps, and minimal control of the aircraft. Wisely taking all precautions, the flight crew also checked the maintenance crew’s fuel calculations, three times in fact, and each time, the calculations matched. After reaching Ottawa, and preparing for the 2,800 kilometer trip to Edmonton, Alberta, Pearson apparently sensed something was off and asked that the plane be “re-dipped.” The ground refuelers stated that the tanks had 11,430 liters of fuel. When Pearson and Quintal crunched the numbers, they came up with approximately 20,400 kilos of fuel on board, which all seemed correct. The truth is, though, they only had about 9,144 kilos. The problem was that the original ground crew, and the flight crew (twice! ), had forgotten that the new airliner used the metric system (as Canada was in the process of switching to the metric system, so the new planes purchased by Air Canada were being calibrated in metric units); as a result, they had all erroneously used the figure 1.77 lbs/liter for their specific gravity factor in the calculations, but what they should have used was 0.8 kg/liter. Bottom line, this meant that the plane was filled with only about half of the fuel it needed to make the trip. The first warning light came on. Flight 143 was . . . at 41,000 feet and 469 knots at the time . . . . ‘At that point . . . We believed we had a failed fuel pump in the left wing, and switched it off. . . . . When a second fuel pressure warning light came on, Pearson felt it was too much of a coincidence and made a decision to divert to Winnipeg. After a quick perusal of the manuals, which had no procedures for a loss of both engines, the pilots quickly realized their only hope was to somehow glide the plane to a safe landing. Luckily for the passengers aboard, while he’d never tried gliding a Boeing 767, Pearson was an extremely experienced glider pilot. Of course, while a Boeing 767 is perfectly capable of gliding to some extent, even fully loaded, many of the systems within the plane were not designed to run without the engines. Thus, a byproduct of the engines dying was the loss of many of the systems and instruments on the plane due to lack of electricity, leaving them with only basic instruments. One of the many key things that shut off was the radar transponder, meaning that traffic controllers on the ground at Winnipeg’s airport had to use a ruler placed on the radar screen to determine the distance traveled by the aircraft in a given time, which could then be combined with the rate of descent to figure out how far the plane could go. If the loss of many of the instruments wasn’t bad enough, most critical of all was the loss of hydraulic pressure. Without it, the pilots would have no control at all. Because of this, the Boeing 767 is equipped with a “ram air turbine” which is automatically deployed in cases like this, providing a very small amount of hydraulic pressure- the faster the plane is going, the better this hydraulic pump would work as the turbine spun faster. Of course, as the plane slows for a landing, hydraulic pressure drops, and so does the pilot’s ability to control the plane. But that’s a problem for later. At this point, the plane was losing altitude at a rate of approximately 2,000 feet/minute, but at least the pilots could still control it. Upon approaching the runway at the old Gimli base, Pearson and Quintal realized they were too high. They then performed a common maneuver in small aircraft called a forward slip, which is to bank into the wind, then apply opposite rudder to keep the plane flying straight, rather than turning; this results in the plane descending more rapidly without increasing airspeed. While commonly done in personal aircraft, this is a very rare maneuver for commercial craft. The lack of hydraulic pressure had another downside, they couldn’t control the landing gear. Thus, they performed another atypical procedure of a “gravity drop” of the wheels. As a result, as the nose gear was dropping into the wind, it didn’t lock in place. The plane had also become increasingly difficult to control as its speed decreased and the turbine providing the hydraulic pressure slowed its spinning. Although some people were hurt exiting the plane, due to the now contorted angle of its emergency exits, none of the 61 passengers, 8 flight crew or people on the ground suffered any serious injury. WHAT A BREATHTAKING DESCRIPTION. U GAVE US THE FEEL AS IF V WERE THERE. The registry number for this plane is C-GAUN. If you google that, you’ll see pictures of its decommissioning ceremony a few years ago as well as current pictures of it sitting in the airplane graveyard in the desert. One of my favorite TV shows is Air Crash Investigators and I saw this episode – amazing piece of gliding and precise maneuvering. Luckily the 2 young boys on their bicycles on the run way did not get hurt and the guard rails helped stop the plane which a few days later flew out after the necessary repairs. If I am not mistaken it said in the documentary that 25 years later it was still affectionately known as the The Gimli Glider. I would love to know if this plane is still in operation. I would love to have the front part of this plane in my backyard. Better then using a flight simulator on my computer. Ask the 50 dead people how SAFE that landing was again…. What 50 dead people? In this event there were a few injuries only. Mostly road burn from the too short slides in the rear (because the plane was pitched forward). I was on an Eastern Airlines (what a lousy airline) flight that diverted from Hartford to Boston to Newark because of fog. The plane almost ran out of fuel. Can you imagine how soft of a landing a plane running on empty makes? I was scratching my head wondering how a flight from Montreal to Ottawa ended up in Manitoba. Turns out is was actually headed to Edmonton http://en.wikipedia.org/wiki/Gimli_Glider . It happened again on August 24, 2001. Air Transat 236, an A330 en route from Toronto to Lisbon, had an apparent fuel leak, ran out of fuel, and made a dead-stick landing at Lajes Air Base in the Azores. It was amazing how little publicity surrounded this incident that nearly killed the 304 people on board. Fortunately, Captain Piché also had glider experience, and while he smacked the runway hard and blew most of the tires, there were only minor injuries. There were rumors for a while about the FAA pulling the ETOPS waiver for the Airbus but nothing came of it.